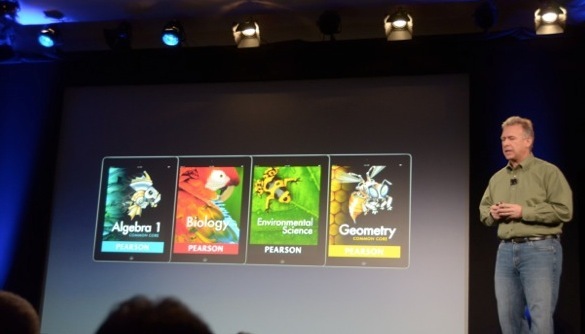 At its education focused event today in NYC, where it announced iBooks 2, digital textbooks and iBooks Author, Apple also announced that it is partnering with textbook makers Pearson, McGraw Hill and Houghton Mifflin Harcourt. These are three of the biggest names in the textbook industry and should provide a solid foundation for Apple to work from. These companies provide 90% of the textbooks available to high schoolers, the first area that Apple is targeting. “These are stunning books. They take full advantage of what can be created,” said Apple’ Head of Marketing Phil Schiller.